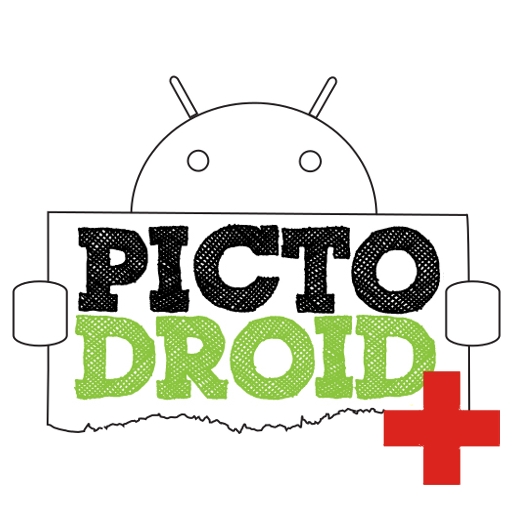 PictoDroid Med is a version of PictoDroid Lite intended for communication in medical environments. It is based on the Notebook of Support for Patient Communication created by CEAPAT and available here. 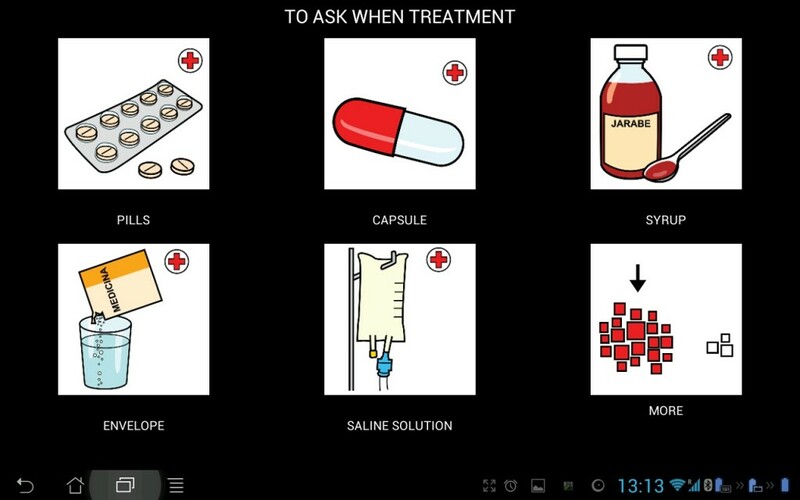 This application will allow a patient to communicate in a medical environment. It is available in Spanish, English, German, French and Italian. 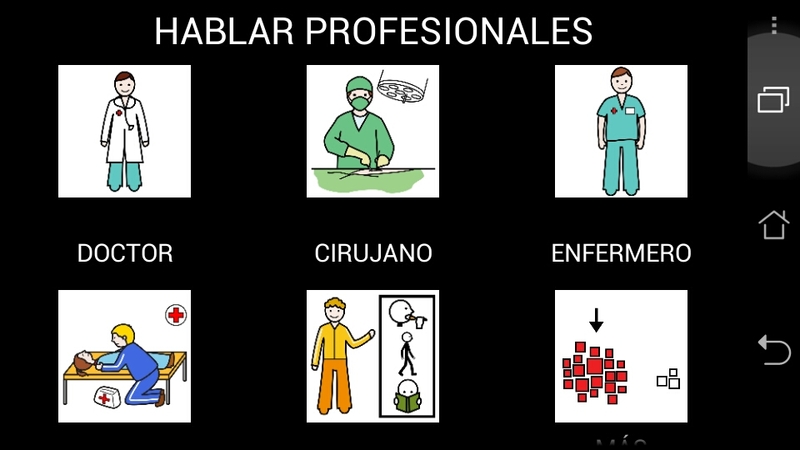 It includes the ability to use one language for texts and another for audio, thus, allowing patients to effectively communicate with professionals who speak a different language. Next you can see a video of the app. Next you can see some screenshots of the app. This entry was posted in PictoDroid Med. Bookmark the permalink.